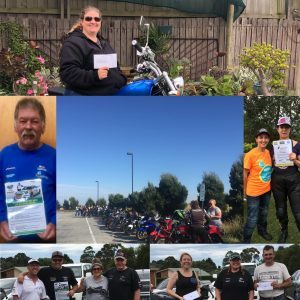 Susie and Team Smurfs have kicked off their 2018 fundraising with a big fundraising ride attended by over 60 people in February and raising over $3500. CONGRATULATIONS on an awesome start to 2018 to Susie and all the team!!!! Team Smurf’s ’18 have set a fundraising goal of $15,000 for 2018. We look forward to hearing more about your next adventure.